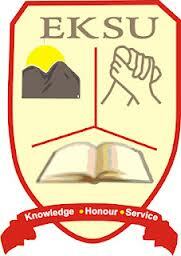 Ekiti State University,EKSU pre-degree entrance examinations date have been re-scheduled for a new date – 2015/2016 academic session. This is to inform all the candidates that have applied for the Ekiti State University (EKSU) 2015/2016 pre-degree programmes admission that the authorities of the institution have rescheduled the date for their entrance examinations. EKSU pre-degree entrance examinations earlier scheduled for 26th September, 2015, have been rescheduled for 4th October, 2015. However, sale of EKSU Pre-Degree Admission Forms still continue.